Generate meaningful passive income by selling info products online. Get this guide on all you need to know to sell your info products successfully. You’re daydreaming about all the wonderful business ideas that can make you money. You’ve explored a few ideas, heard several success stories, and know you want to start an online business. The only problem is you repeatedly find yourself stuck on which digital download to pursue. After all, you want to be sure your brilliant idea is something worthy of pride and profit. Today, we’re going to make that a lot easier. First, we’ll look at the data behind info products, dive deeper into their benefits, discover the steps to choosing the best idea, and then finish it all off with four proven strategies for creating and launching your info product. Sound good? Then let’s get started. An information product (aka info product) is typically a digital product that provides data and information to fulfill a specific purpose. They’re commonly structured in a way that educates, instructs, or guides your target audience toward an end result, with formats varying across written, audio, and video formats. How popular are info products today? Very. The market demand for info products is high. Take, for example, ebook and elearning sales. 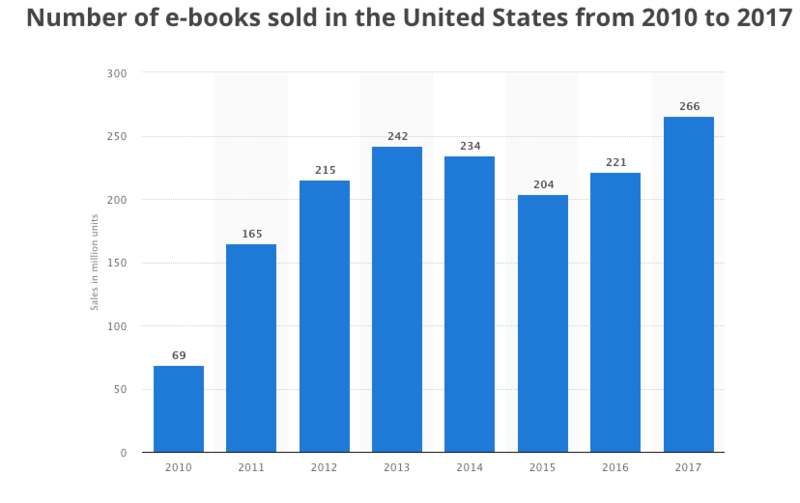 The number of ebooks sold in the US is growing steadily with over 266 million units sold in 2017, making selling ebooks an excellent written-format info product option. 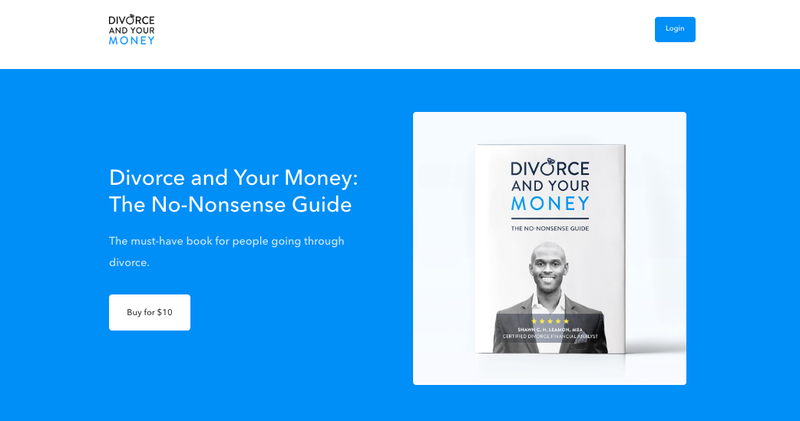 A great example is entrepreneur Shawn Leamon’s ebook guide, Divorce and Your Money: The No-Nonsense Guide, which walks his readers through the financial complexities of surviving a divorce. For creators who want to expand beyond the written word, an online course is another great solution. Elearning sales are slotted to reach $325 billion by 2025. Online courses typically incorporate all three written, audio, and video formats, though the focus tends to be heavier on video. Check out this excellent example by creator Sally Ann Miller. Her Author Success Blueprint is an online course that teaches students how to become bestselling authors on Amazon. Sally incorporates all three formats into her online course and offers her students over 20 video lessons, accompanying action sheets, a step-by-step guide, and detailed book analysis. Online courses and ebooks aren’t your only options, however. If you’re craving more ideas, reference these 19 examples of profitable digital products during your brainstorming. Info product content is educational in nature and provides your audience with an end result. With the demand for info products on the rise, it’s an ideal time to sell your own. Now, let’s move onto the advantages of info products. What are the benefits of info products? Info products provide several benefits, but the most important benefit is the ability to productize your business so you can leverage your time and focus on growing your business. This helps you avoid the pitfalls of entrepreneurial burnout, and once you ramp up to a well-oiled productizing machine, you can continue the growth with the aid of a virtual assistant. There’s limitless inventory with info products, which means your sales potential is uncapped and your order fulfillment process is streamlined. In other words, by selling a digital product, you do all the legwork in advance and only need minimal maintenance -- mainly marketing -- on the backend. Once your storefront is set up, your customers can purchase as many info products as they’d like without you having to fulfill orders manually. Said another way, info products sidestep inventory issues like overselling a high-demand product and save you from potentially losing business when you can’t keep up. Sound like a far-fetched scenario? It’s not, as Garlic Press Seller, an online storefront that sold 224 units with only 200 in stock, learned. It was the start of a not-ideal or easily sustained backorder trend for them. If you end up in that position and use online marketplaces like Amazon to sell your products as Garlic Press Seller did, your ratings go down, and you risk getting kicked off the platform for unfulfilled orders. Yikes. Another significant info product benefit to consider is its potential to yield meaningful passive income. How much passive income? Earnings will vary, of course, but a full-time salary is well within reach. 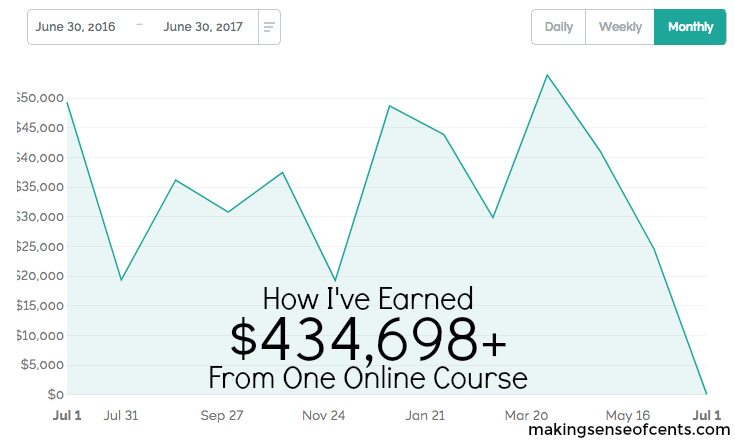 For example, founder of Making Sense of Cents Michelle Schroeder-Garner earned $434,698 after her first year of running her Making Sense of Affiliate Marketing online course. Here’s a snapshot of her annual sales. Not bad for a single info product, right? The last major advantage of selling info products is how cost-effective they are to launch. Startup fees are minimal and easy to control if you’ve got a knack for the D-I-Y approach. $60-$240 for potential equipment costs. $22-$215 a month for potential promotional costs, including hosting services, email marketing, and social ads. The same minimal startup costs apply to ebooks, too. 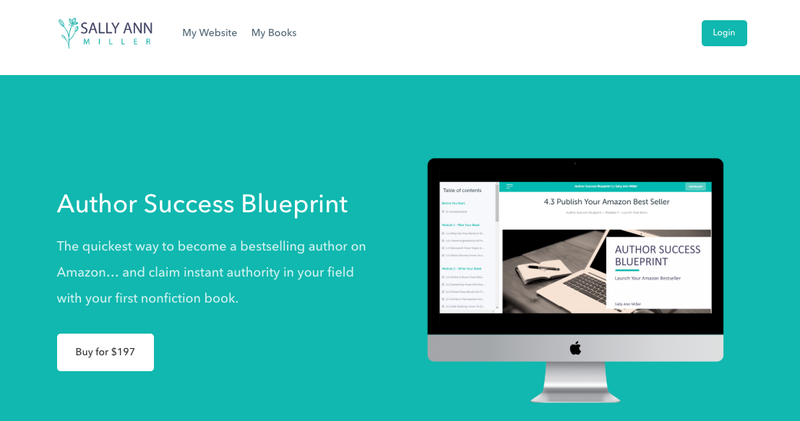 As an example: To self-publish a book, it could cost you about $875, with writing and publishing software averaging $75 altogether, editing and proofing running around $500 for seasoned contractors, and a book cover costing up to $300. Note that these are merely examples. There are plenty of free online tools you can use to help drive your startup costs down even further. Digital products afford you key advantages over selling physical products, such as scalability, endless inventory, uncapped earning potential, and minimal startup costs. 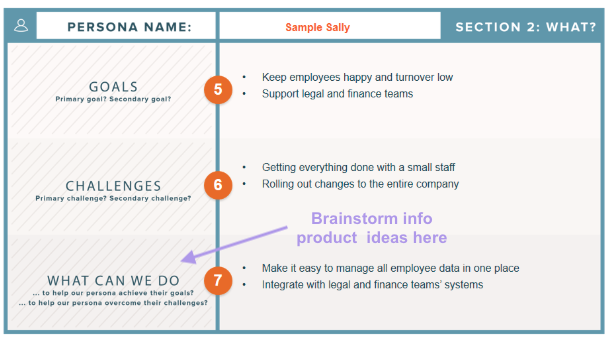 With all these benefits in mind, are you ready to create your first info product? Then let’s find out which type of info product best suits you. How do I know which type of info product to create? To find a profitable niche market, you need to choose a topic to focus on. To do that, start by listing out your skills and passions. From there, whittle down your choices to only those that you’re the most excited to teach. Before you fully commit, however, you need to ensure that your idea will resonate with your audience as much as it does with you, which is where the next step comes into play. I cannot stress enough the importance of validating your idea before diving headfirst into creating your info product. 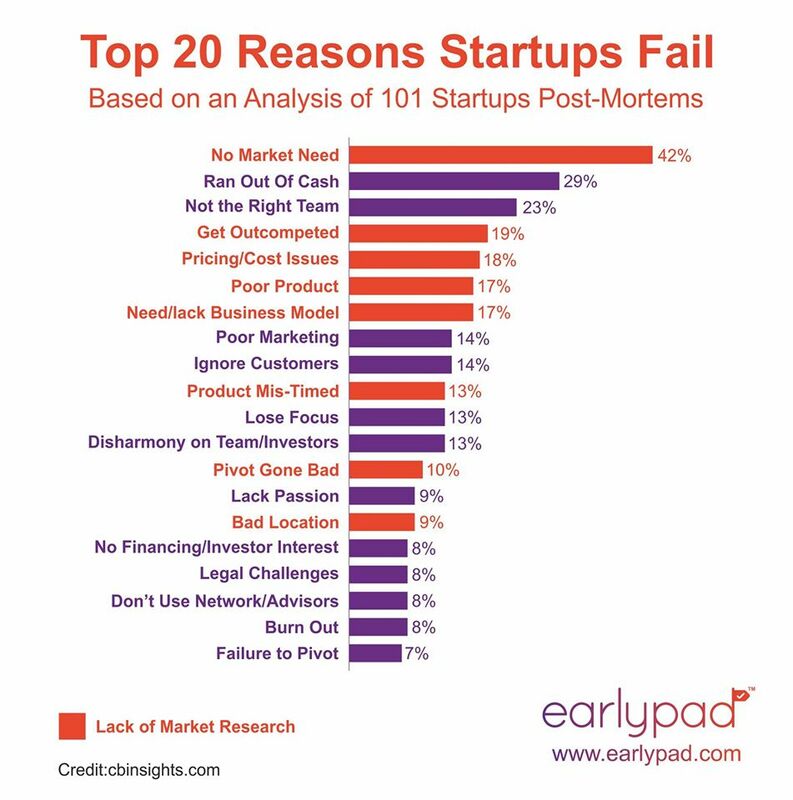 Eight of the top 20 reasons why startups fail are tied to a lack of market research, with “no market need” ranked at the top and 42% of businesses experiencing this pitfall. By doing your due diligence in market research, you ensure there’s a market demand for your info product. Otherwise, you’ll be selling to no one. We recommend hunting down competitor info on similar topics to find out if there’s an audience for that topic. If there is -- great -- that means there’s profit potential. 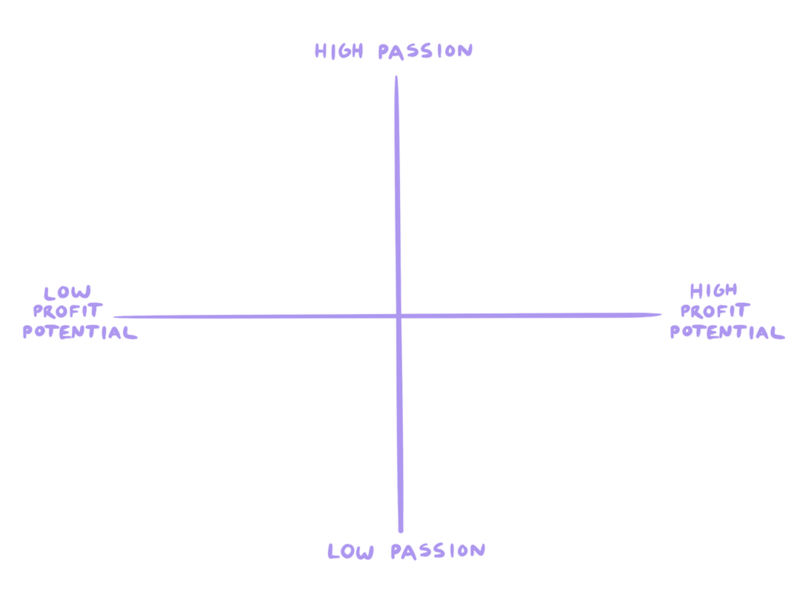 You can also use what we like to call a Profit / Passion Matrix to determine if there’s both a high-profit potential and personal interest in pursuing your topic. Simply plot out your listed ideas from the first step and aim for the categories that fall into the top right quadrant, where there’s both a high passion and high-profit potential. Once you’re happy with your chosen topic, you’re ready to move onto our next step. Before creating your info product, you need to find out what exactly your potential customer wants. You can do that by digging a little deeper into who your ideal customer is and creating a buyer persona. The last one, in particular, is essential. This is where you drum up key ideas about which info products will help solve your persona’s biggest pain points. Remember, the purpose of info products is to deliver an educational piece of content that drives a specific result. The way to achieve that is to solve your ideal customers’ biggest challenges. Buyer personas don’t just serve the customer, however. They serve your bottom line, too. Consider the case of the IT company Skytap. 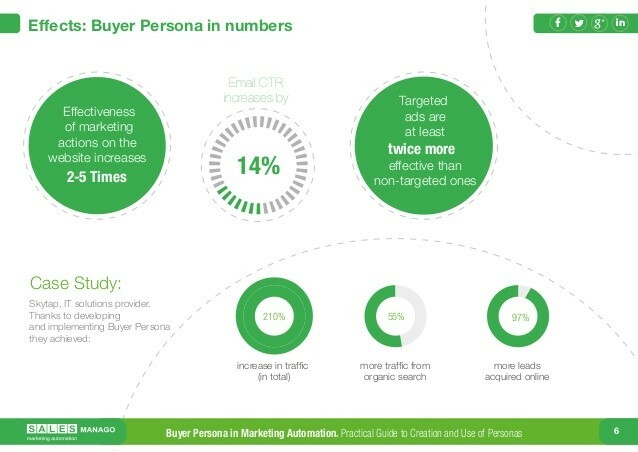 Using buyer personas to guide their marketing strategy led to a 210% overall increase in site traffic. 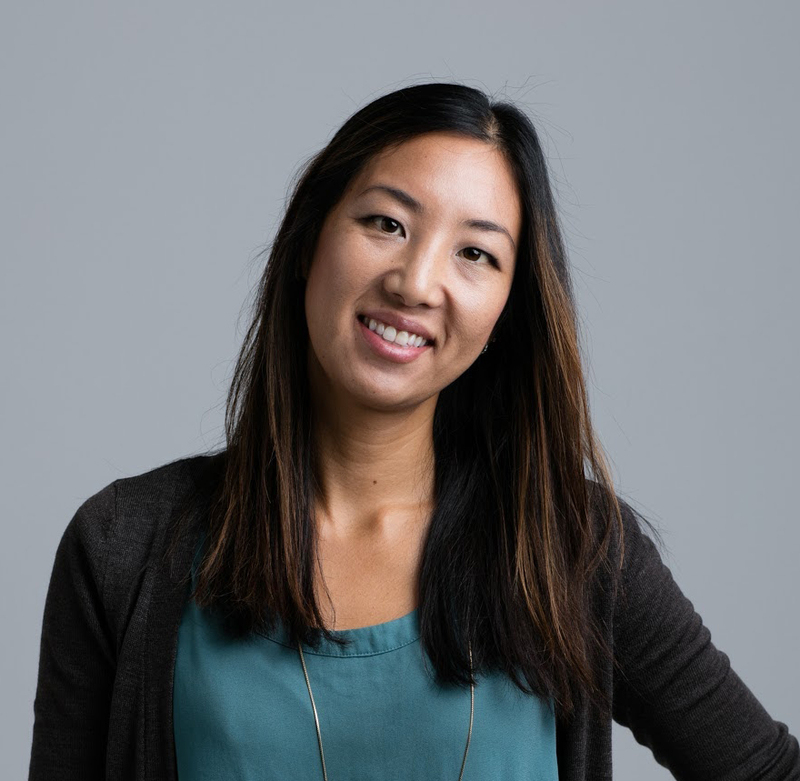 Now that you’ve identified your target audience, completed your market research, and created your buyer personas, you’re ready to build your info product. But, before sending you off today, let’s also dive into strategies for launching your info product, so you’re prepared to sell your info products successfully. By now, you’re probably tired of hearing about how vital email marketing is, so we’ll skip the usual drumroll and get right down to it. Let’s start with your subject line. Why? Because it’s critical to get this one right before all the others. 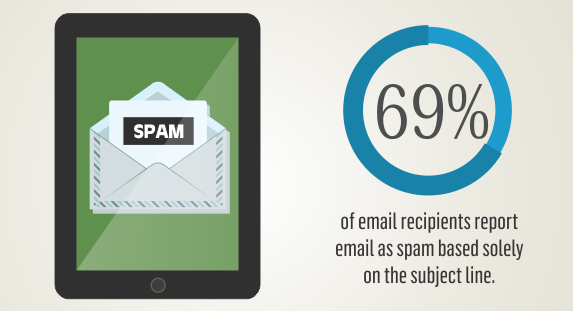 A staggering 69% of email recipients report email as spam based on solely on the subject line. After that, the next ingredient to test is email segmentation. This can significantly boost your open rates, like in the case of customer relationship management (CRM) firm SuperOffice, who increased their open rate from 40% to 90% after sending an email to a segmented list. 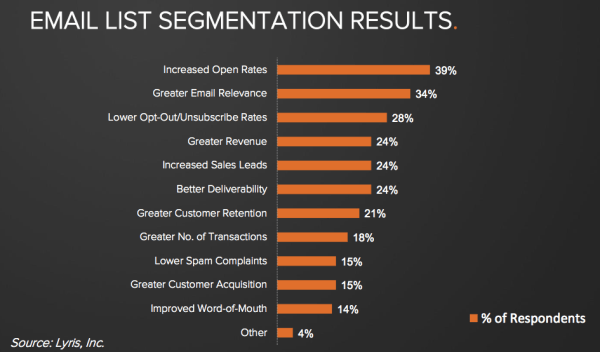 That’s not all segmentation did for SuperOffice, though. 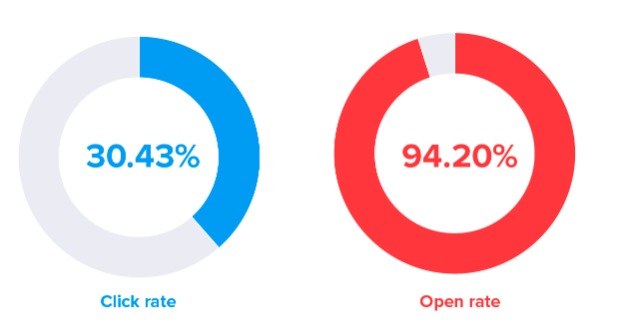 As you can see, the same email had a phenomenal click-through rate (CTR) at 30.42% when, on average, the global CTR in 2018 was 2%. That’s definitely an improvement worth writing home about, and professionals seem to agree. 39% of marketers reported higher open rates after segmentation, and 24% of the same experienced better deliverability and increased sales leads. Our third key component, personalization, also drives results. Personalization goes beyond addressing someone by their first name in your email. It’s speaking to their individual needs, emotions, and desires. In a survey of 1,000 respondents, 90% of US consumers found marketing content personalization appealing. 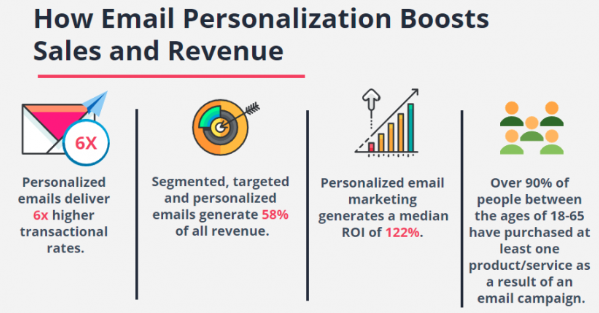 Additionally, personalized emails produce 6x higher transactional rates and a median return on investment (ROI) of 122%. So, be sure to focus on copywriting and sales messaging that resonates with your audience, ideally by using your audience’s exact words in your copy. This approach is also recommended for your email sequence copy, which is our final key ingredient. If you haven’t heard the term before, take heart, an email sequence is exactly what it sounds like. It’s a series of emails that nurture and move your first-time subscriber to first-time customers. Your sequence should focus on identifying your audience’s biggest problem, and then as the emails unfold, help them resolve that problem. 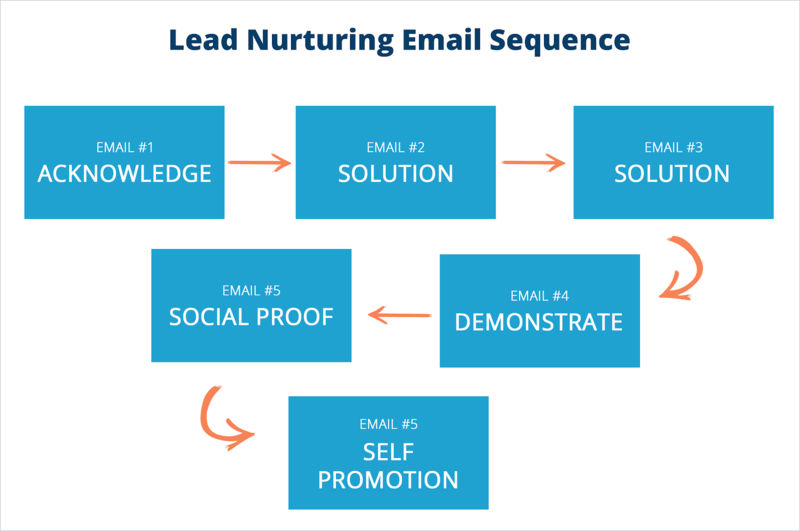 Here’s a great visual example of a lead-nurturing email sequence from Fluxe. How many emails you send and in what order are ultimately up to you. As long as your email content is simple, personalized, and benefit-driven for the audience, it’s golden. To successfully implement an email campaign, you need to help your audience from the subject line to the sign-off. If you’re doing that, your email marketing strategy is solid. Another great way to launch your info product is to host a webinar where you invite attendees to register for a training and present a peek into your info product. The key thing to remember is that the primary purpose of the webinar should be to educate your audience, not sell your product. This allows your prospective clients to get to know, like, and trust you. Rest assured, you’ll still get the opportunity to sell your product at the end. In fact, thanks to having built up your credibility and trust with the audience, it’ll be a far easier sell. 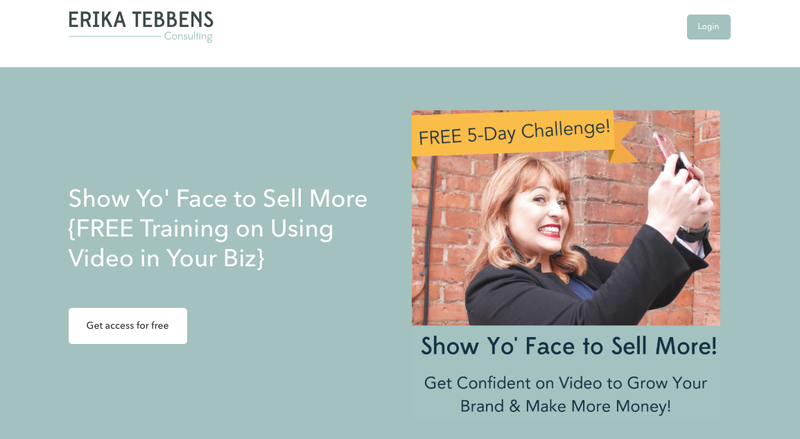 Erika Tebbens’ Show Yo’ Face to Sell More is a great example of a free benefit-driven webinar that she offers her audience as a way to earn their business. This last webinar component is particularly effective because people trust reviews, ratings, and testimonials from other people a lot. Enough so that a site that includes five reviews gains a 270% higher conversion rate than a page with no reviews. 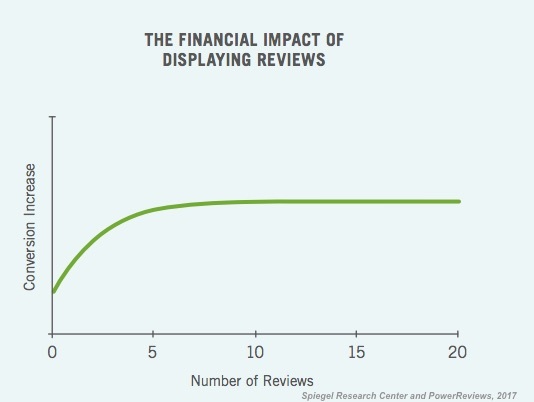 In fact, when customers interact with your review, they’re 58% more likely to convert and generate 62% more revenue. So, be sure to capture positive feedback, screenshots, comments, and et cetera that you can use to build your credibility during your webinar. Now, curious about how long to run your webinar? Having lengthier webinars is OK. More than OK, it’s also normal: 58% of webinars are between 45-60 minutes. In other words, feel free to thoroughly explain your content to deliver a specific result to your audience (after all, that’s the purpose of an info product). If it takes a little longer than a coffee break but delivers what it promises, it’s worth the extra time. Our next strategy also helps build trust, though it isn’t quite so high-stakes as a live event. Giving away free content, like email marketing, is a smart way to attract new subscribers and nurture them through the buyer’s journey from first brush all the way to purchase. Your free content, often in the form of a lead magnet, can be used during the “awareness” phase of the three buyer’s journey stages as a tool to help educate your potential clients about their problem. Once they’re hooked on your brand and understand more about their problem and the solution you offer, you can then upsell and cross-sell your info products during the decision stage. As you can see, you have plenty of options when creating lead magnets and giving away free content. The main takeaway is to entice and support your new audience members with valuable educational content that helps solve their biggest challenge. OK. Beyond lead magnets, we’ve got one final launch strategy for you today. Whether Facebook, Instagram, LinkedIn, Twitter, or other platforms, using social media channels to launch your info product is an effective solution to reach a wider audience. At least, that’s what marketing influencers say. Based on a survey of 271 marketing influencers, social media marketing is the most effective digital marketing tactic with content marketing, marketing tech, and search engine optimization (SEO) as close runners-up. 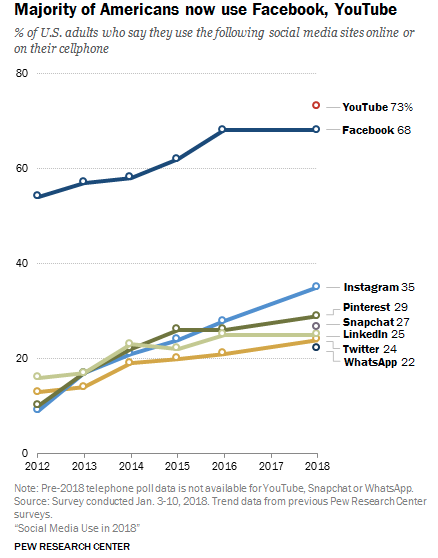 And it’s no wonder that social media is so competitive on effectiveness with most of the American population now using social channels like Facebook (68%) and YouTube (73%). 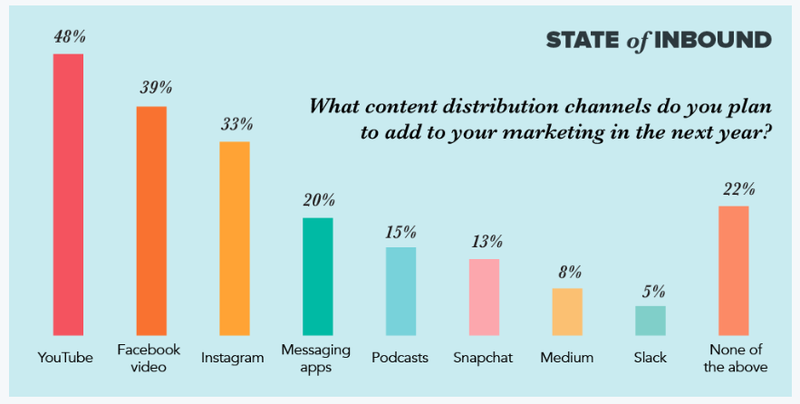 If you’re curious about which channels to focus on, the most popular content channels are YouTube, Facebook video, and Instagram. 48% of marketers prioritize YouTube as the social media channel of choice. However, it’s worth noting your focus should be on the social channels most relevant to your audience, which you can determine through market research. Just ask your ideal clients which social platforms they frequent the most and prioritize those channels. Educate your audience and prospective clients about your info products by publishing posts on their preferred social media channels. Deciding on which info product to create and sell as your first one doesn’t have to be a tough choice with the right research and tactics in place. Once you’ve made your decision on the type of info product to create and sell, the rest falls nicely into place with a few simple steps. An info product is a digital product that serves a specific educational or results-driven purpose and comes in written, audio, and video formats. Benefits of info products include a great way to productize your business, uncapped earning potential, and minimal startup costs. To find out which info product to create, identify your target audience, validate your business idea through market research, and create buyer personas. To launch your info products, create an email marketing plan, host an educational webinar, gift out free content, and use social media channels. Beyond that, keep in mind that although you’re likely living the life of a solopreneur as you start off your info product venture, your journey doesn’t have to be lonely. You can access full support by using an all-in-one platform to manage your info product storefront, and best of all, you can get started for free today. We can’t wait to see your first info product.